If you’ve been on the internet today, then you’ve probably already seen a lot of commentary on some notes Donald Glover put up on his Instagram. Some of it has simply been reposts of the material, while some publications have posted questionable, slightly condescending remarks about whether we should be “worried,” but there has probably been as much of an outpouring of sympathy and understanding as there has been exploitative Millenial nagging and buffoonish commentary from trolls, on and off the internet. What has been missing, though, is much in the way of an examination of the unique pressures faced by celebrities like Donald Glover. Like his compatriots in the Lonely Island, Glover is a comedian who came up through the internet. Back when he was at NYU and in Hammerkatz, he was my friend Rachel’s RA and she used to send me clips of his work in Derrick Comedy, and I’d get updates on how famous Glover was getting while still being a pretty down-to-earth guy. 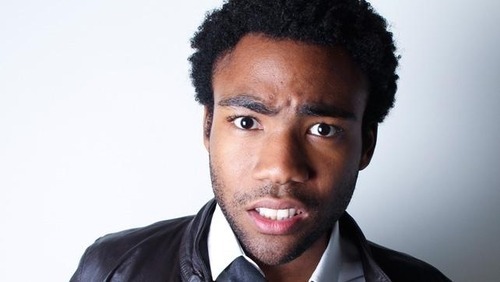 Love or hate Glover, there’s no denying that he worked hard to make it, and even took some huge risks in order to advance his career the way he wanted to, from leaving a writing gig on 30 Rock to pursue acting with Community to his most recent decision to leave Community for his own show on FX, called Atlanta. And through it all, he’s worked at his rap persona Childish Gambino, resulting in a surprise hit album, Camp, and a follow-up on the way. He’s become a cultural force thanks to the internet, and he’s one of the rare performers who still understands exactly how to utilize the internet to continue to advance his career. But as much as we talk about how the internet has changed the game in regards to this kind of artist development and consumer convenience, I think we often forget to consider the impact it has on the stability of our artists. We’ve moved incredibly quickly from an era where art careers developed and were cultivated sometimes over entire decades to an era where we discover artists instantaneously and just as quickly get bored with them. A comedian like Glover in the past more than likely would have had to work endless, brutal circuits getting paid next to nothing while resisting the better paychecks that come with selling out. And that’s to say nothing of the very real disadvantages he would have faced in the industry just because of his skin color. If you’re blanching at that last statement, then consider the other “meltdowns” we’ve seen in the comedy world this year. At the forefront is Dave Chappelle’s continued issues with hostile audiences, a hostility some critics feel is rooted in racism, while genuine instances of mental instability perhaps fueled by the pressures of celebrity become punchlines, a la Katt Williams. Historically you of course have depressing stories like the truth behind Richard Pryor’s free basing “accident,” which was in fact a suicide attempt fueled by Pryor’s belief that the industry was actually out to get him. While it’s entirely possible that Glover is in need of “help,” there’s no real reason to see these notes from Glover as indicative of something being wrong with him, or a sign that we need to be “worried.” Instead, it should be viewed as an unusually frank confession from an artist who is under higher pressure than normal thanks to his internet upbringing, his wide array of skills and interests and his acute self-awareness in terms of his race, gender and geek status. Glover is savvy and undoubtedly aware of what his predecessors have gone through; Dave Chappelle’s departure from the spotlight in particular occurred right when Glover was seriously entering the comedy world. So why is it that, like Chappelle before him, Glover is recast as “crazy” or “unwell,” rather than simply anxious and astute? And to follow that up, why is it that our black comedians who don’t follow traditional career paths are instantly targeted as mentally unstable in much the same way our female pop stars are, while more clearly disturbed white male celebrities like Charlie Sheen are celebrated? If we should be worried, it should be for ourselves, as a pop culture audience incapable of respecting the decisions of our artists and their attempts to make their own careers, their own way. I don’t know Glover personally, but I trust his view on his career and his personal and artistic needs more than I trust the judgment of a fickle media and audience. Glover has spent the bulk of his life beating the internet at its own game, who are we to doubt his well-being or judgment at this point?